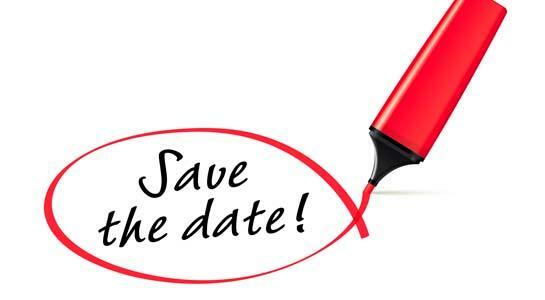 Electronically submit the date of your Parish Annual Meeting by Feb 28, click here. Once your parish has held its Annual Meeting, please submit the following documents. Lay Delegate Form. To submit, click here. The documents mentioned above are due no later than April 14. For questions, contact Canon Guszick, aguszick@diocesecpa.org or (717) 236-5959 x1108. Parochial reports are due March 1st. Assistance in filing your 2018 Parochial Report, can be found here. The Rev. Canon Paul Donecker, All Saints, Selinsgrove, has been named as the Interim Convenor of the Susquehanna Convocation as the Rev. Howell Sasser, former Convenor, has announced his move out of the diocese. An election for the next Convenor will take place at the end of the term in Spring 2020. In March, the Rev. Eric Hillegas will join St. John’s, York, as their new Rector. 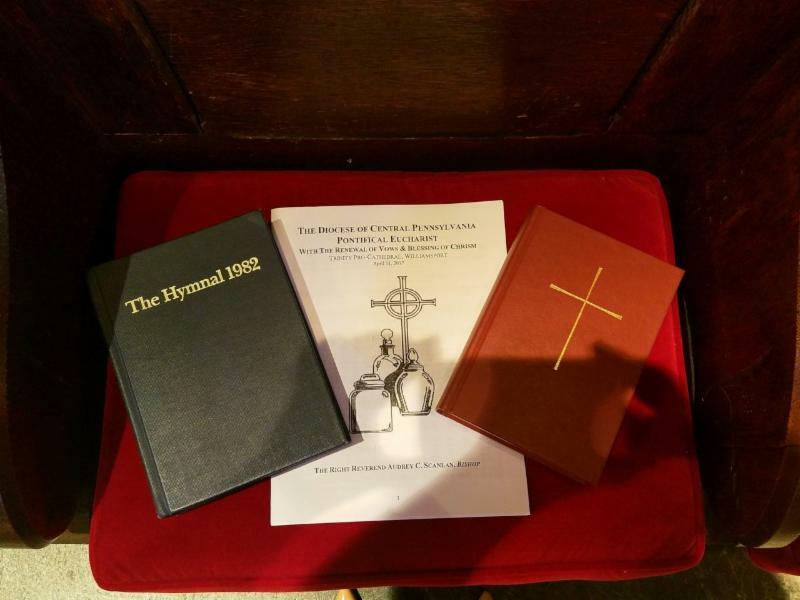 Beginning in May, The Rev. Carlos de la Torre will be the Rector of St. John’s, Bellefonte. please contact the Rev. Canon Dan Morrow,dmorrow@diocesecpa.org. Family and friends are welcome! The Rt. Rev. Audrey Scanlan, Bishop, and The Rt. Rev. Nathan Baxter, Retired Bishop, will officiate during the 10:00 a.m. service. The essay awards ceremony will follow the service. Refreshments will be served. All are encouraged to attend. Everyone is welcome! 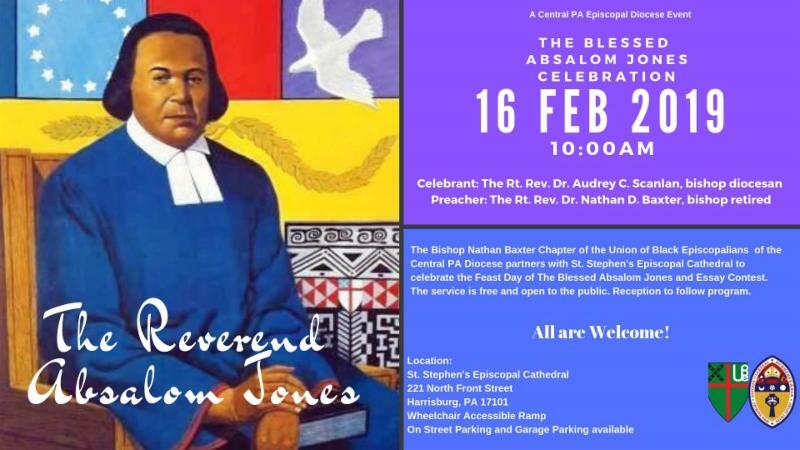 In-Residence Day will be in the Altoona Convocation on Wednesday, March 27 at St. John’s, Bellefonte. 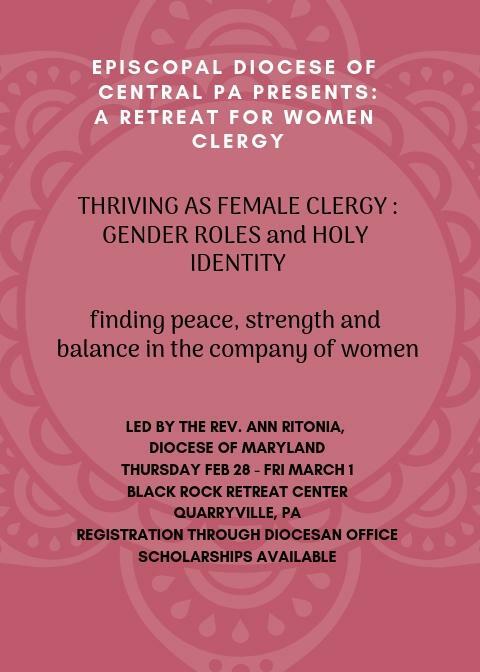 This retreat is for women clergy in our diocese and will be led by the Rev. Anne Ritonia of the Episcopal Diocese of Maryland. of the Box will be held in March. Please join us in Williamsport where we will be distributing blessing bags to locals in need. In the North, the service will be held in the morning at Trinity Pro-Cathedral, Williamsport, from 10 a.m. to 12 p.m. The service will be followed by a luncheon. 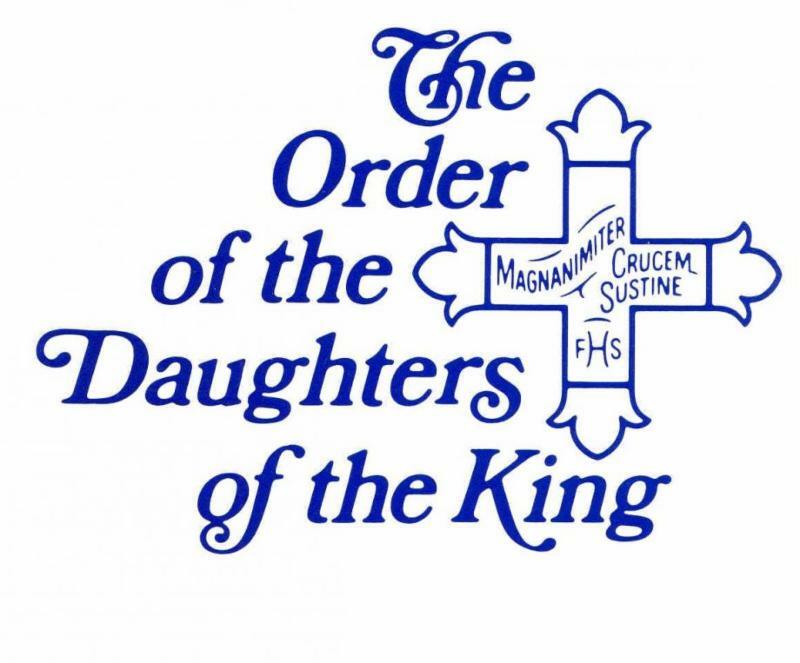 will be held at St. Stephen’s Cathedral, Harrisburg, from 3 to 5 p.m., followed by dinner. Registration will be sent to clergy in the next Clergy Digest. in State College. All proceeds will be donated to organizations fighting against addiction. will be held in Harrisburg. More information to be announced in the next Digest. Saturday April 6, 6 p.m. The Gala will celebrate the school’s 40th Anniversary honoring its founder, Patricia Cameron. For more information, contact the school office (717) 238-8590 or e-mailoffice@sseschool.org. 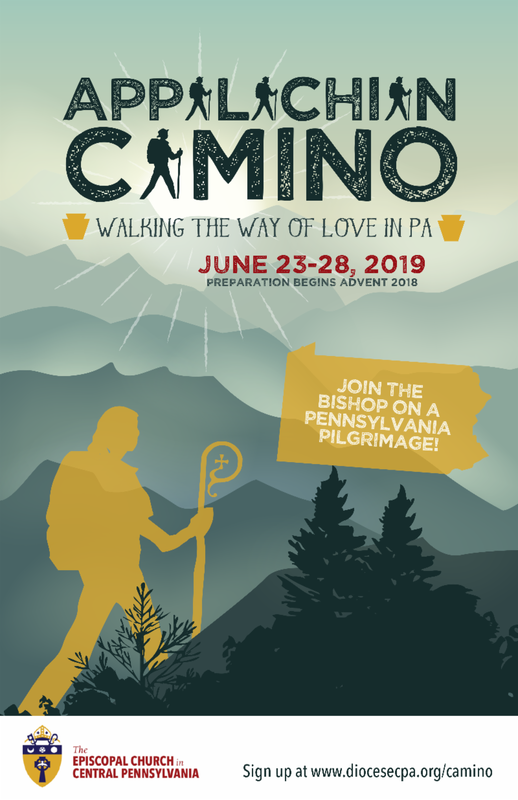 You may participate in the Camino either for the full length of the trail or a day hike. Please join us in praying for all teachers and learners, for all who continue in the apostles teaching, for the Church’s future ministers and priests. It is in gratitude for all teachers, students, and those who are doing the work to prepare the leaders, lay and ordained, who love and serve us in our churches. 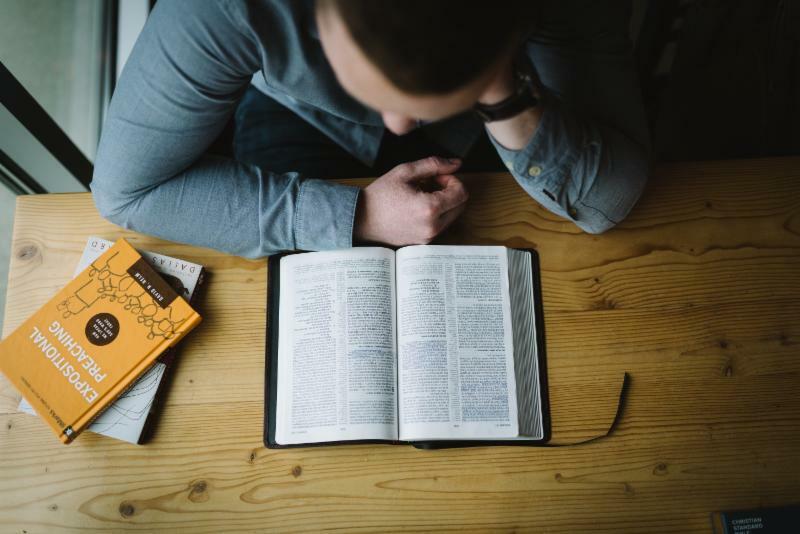 · Invite a student to preach or teach at your parish. 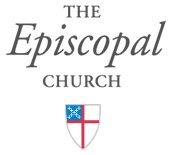 · Give to support Christian Education in your parish, your convocation, your favorite seminary, or to The Stevenson School for Ministry. 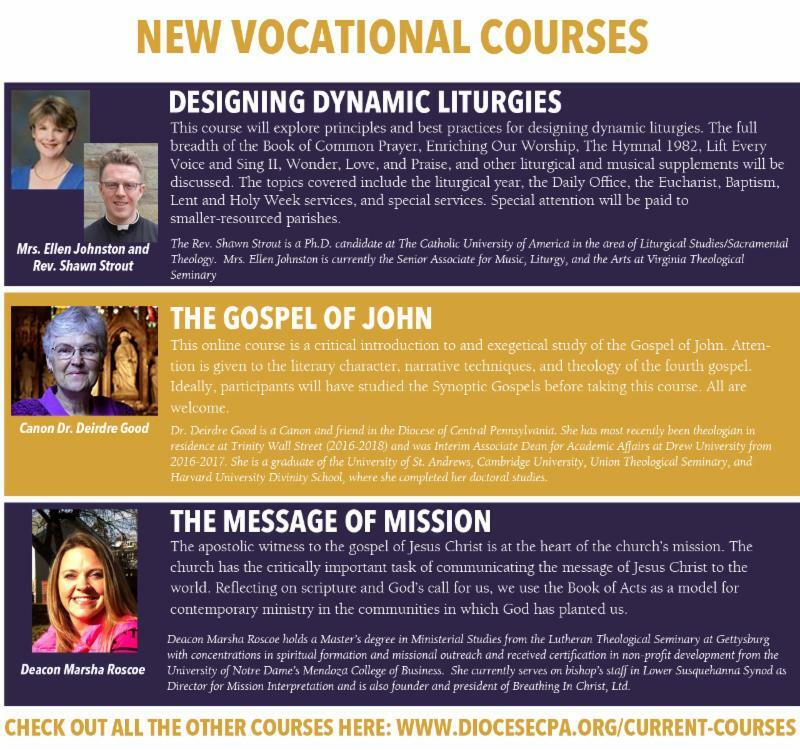 · Take a course with members of your parish or take a course for your own continuing education. Mark your calendars for an outstanding learning weekend! Topic: Effective Communication through understanding your Culture. Bible study. More information coming soon. 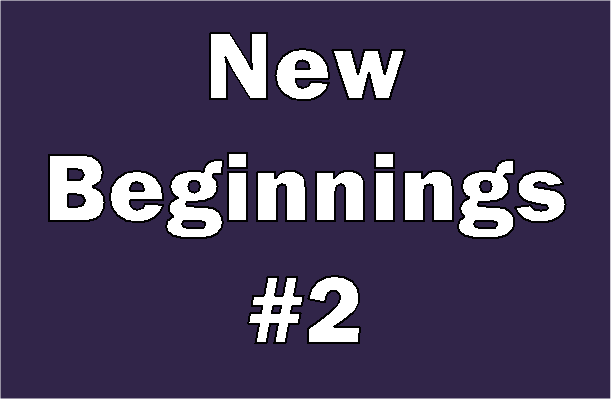 New Beginnings is an opportunity to share the love of Christ with Middle School Youth. Senior High Youth will develop inspirational talks, activities, and worship during the Friday – Sunday event. $100.00 per participant. That includes housing in cabins with other youth, all meals, a t-shirt and an entire weekend of activities! 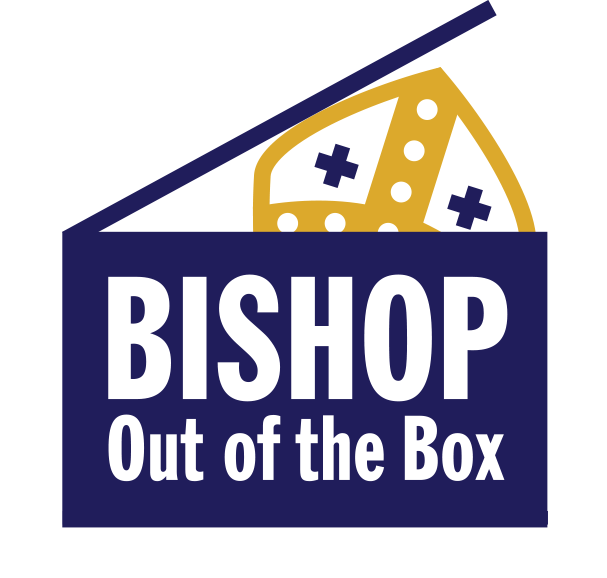 Click here to register your diocesan youth. This event is for youth, ages 12 and up. The following morning, on April 19th, at 7:00 a.m., participate in a special Youth Good Friday Service portraying the passion narrative. reading and miming. Don’t miss out! To download the list of upcoming event dates, click here.